Last year’s Northeastern Huskies, for the second consecutive season, started off with what could affectionately be called a disaster. After the 2014-15 Huskies started the season 0-8-1, the 2015-16 version started the season with a win against Colgate on opening night. Fans rejoiced not only because of Nolan Stevens’ breathtaking game-winning goal, but because no matter what happened from there, the Huskies wouldn’t again be winless entering November. Unfortunately, the celebration came too soon. The Huskies lost their next game against Bentley despite a 52-11 shot advantage over their Atlantic Hockey opponent. This loss would start a downward spiral, as Northeastern would fail to win in each of their next 12 games. All the while, the losses piled up in the lineup as fast as they piled up on the scoreboard. Senior captain Kevin Roy was sidelined for months with an injury. Freshman forward Jason Cotton left the program. Dustin Darou had yet to make his season debut. Dylan Sikura, Trevor Owens, and John Stevens each missed games, while Jon Barry and Dalen Hedges were both lost for the remainder of the season. November came and went and December soon followed. The Northeastern Huskies were winless in Hockey East play when the calendar rolled over to January for the first time in history. Then, just as suddenly as the season was lost, Jim Madigan’s club rose from the ashes. You know the rest of the story by now. A comeback for the ages. A turnaround even the most optimistic of fans couldn’t have believed was coming. The Huskies didn’t lose a conference game in 2016. Their nearly perfect conference run was blemished by one single tie. They entered the Hockey East playoffs as the hottest team in the country and didn’t drop a game there either. They were crowned Hockey East Champions for the first time in 28 years. They were the first team in the history of the Hockey East Tournament to go 6-0 on their way to the title. The first to even win six games in a single tournament. They were the lowest seeded team ever to win the tournament, though certainly they were among the most deserving. In 17 consecutive games in Hockey East conference and tournament play, the Huskies did not fall, and along the way they rewrote the school record books by compiling records of 20-1-2 in 23 games and 18-1-1 in 20 games. Even with their brutal start, the Huskies ended the season with a +19 goal differential in Hockey East play. Despite the bulk of non-conference play occurring in October, they would post a +10 goal differential in non-conference games too. For all the talk of a “top five” in Hockey East that didn’t include the Huskies, they ranked second in Hockey East in goals scored, both in conference play and overall. They had a better goal differential outside conference play than Notre Dame, in addition to delivering a sweep in South Bend to advance to the Garden. They scored more, conceded less, and won more games than BU. They took on BC and UMass-Lowell, and they came away victorious. They got the job done and they earned their place with the best of them. Well played, Huskies. Pecararo will enroll as a sophomore and be eligible to play after transferring from Maine (Hockey East). Cecere will enroll as a junior and be eligible to play after transferring from Colorado College (NCHC). The Northeastern Huskies enter 2016-17 as the defending Hockey East Tournament Champions, looking to repeat their performance after capturing the school’s first title since 1988. The team loses captain Kevin Roy, who leaves Northeastern having scored 150 points, the 11th highest mark in school history, and defenseman Matt Benning, who has anchored the top defensive pairing for the past two seasons, in addition to six other players. In spite of these losses, the Huskies will return immense firepower for the upcoming season. Last year’s first line of John Stevens, Nolan Stevens, and Zach Aston-Reese all return to Northeastern after combining for 44 goals and 110 points during the 2015-16 campaign. The Huskies also return two-thirds of their second line, two-thirds of their third line, all three members of their fourth line, and every other forward who played a game last season. (Will Messa also departs, but never dressed during his three seasons at Northeastern.) A championship team losing just two forwards is, frankly, nearly impossible. Even more impossible is who the Huskies bring in to compliment the returning corps. Matt Filipe, a home-grown center out of Malden Catholic High School, was drafted 67th overall in June’s NHL draft and is the school’s highest drafted forward since 2008. Filipe scored 36 points in his lone season with the USHL’s Cedar Rapids RoughRiders in 2015-16 after leading Malden Catholic to consecutive Super 8 Championships, first in 2014 then again as team captain in 2015. At 6’2″, 203 lbs, Filipe has the size to be effective in front of the net while possessing the skill to score or find a teammate from nearly anywhere on the ice. Filipe is a second generation Husky and his father Paul is anything but a footnote. Paul Filipe scored 73 points as a defenseman during his NU career, was twice named assistant captain, and led the Huskies to two Beanpots, an ECAC Championship, and the only Frozen Four appearance in NU school history. He would go on to sign with the Boston Bruins and is enshrined in the Northeastern Hall of Fame. Matt Filipe, considered an even greater prospect than his father, should be yet another impact player for Northeastern sooner rather than later. Grant Jozefek, a right winger from New Jersey, spent the last two years with the Lincoln Stars of the USHL. Jozefek, alongside fellow freshman Biagio Lerario, is the next link in a Lincoln-Northeastern connection that has produced key Huskies such as Kevin Roy, Dax Lauwers, Colton Saucerman, and Zach Aston-Reese in the past few seasons. Although he stands at just 5’10″, 170, look for Jozefek to provide a playmaking threat that the Huskies have seldom seen from the wings in recent years. He was heralded as a pure passer, a reputation strengthened with 54 assists over his past two USHL seasons. However, after scoring just 4 goals in 2014-15, Jozefek exploded for 21 goals in 2015-16 and could provide a strong goal scoring threat for the Huskies in addition to his playmaking prowess. Liam Pecararo comes to Northeastern with three years of eligibility remaining after a short stint with the Maine Black Bears in 2014-15. The 20 year old originally committed to Maine under former head coach Tim Whitehead in 2010, at the age of 14. Whitehead departed the school before Pecararo arrived, and the latter followed suit after reported differences with the new coaching staff. Pecararo scored 61 points in 2014 with the USHL’s Waterloo Black Hawks before enrolling at Maine and scored another 44 in 45 games in his return to Waterloo after departing. With age, proven scoring ability, and previous Hockey East experience, Pecararo should be a valuable addition to the Huskies’ offense for the next three seasons. With these additions as well as new bottom-six options in the form of Biagio Lerario and John Picking, the Huskies should be nothing short of an offensive force next season. The team returns 106 goals from last season, absolutely demolishing every other Hockey East team’s total. UMass-Lowell, who returns the second most goals in the conference, brings back just 84, under 80% of the Huskies’ total. Including only Hockey East play, the Huskies return a staggering 83% of last year’s 75 goals scored. Just the 62 goals the Huskies return are more than 7 of the other 11 Hockey East teams scored in conference play last year, including conference tournament runners-up UMass-Lowell, who scored only 58. Add in contributions from Pecararo, Filipe, and Jozefek, all three of whom are likely candidates to receive top 9 minutes in their first year with Northeastern, as well as the development of the returning forwards, and the numbers grow larger. The Huskies will certainly miss Roy, who was a gigantic part of their Hockey East tournament run, but the senior captain didn’t score his first goal until mid-February last season after a slow start followed by a battle with injury. The team has already proved they can light the lamp and win games without him. I cannot repeat enough that Northeastern’s offense is a force to be reckoned with. One returning forward to keep an especially close eye on is Lincoln Griffin. Griffin entered Northeastern last season at just 17 years old and as one of the youngest players in the entire NCAA. After a slow start, Griffin heated up after the winter break and tallied 6 goals and 10 points while playing primarily on the Huskies’ fourth line. These stats may seem unassuming on first glance, but for a 17 year old who showed the ability to step up when called upon, they’re a sign of greater things to come. In December, when the 2-11-2 Huskies went to Chestnut Hill to face Boston College, Griffin was tasked with replacing John Stevens on the Huskies’ first line when the latter left the game with an injury. He responded by scoring his first career goal to tie the game in the third period. 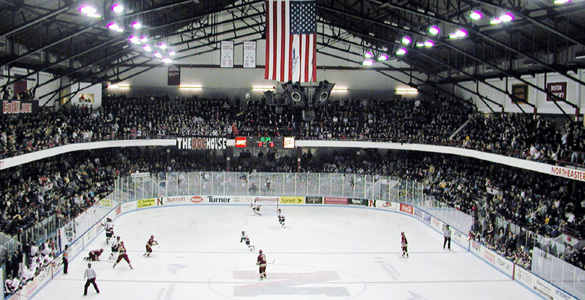 In the Hockey East semifinals, again in the third period, the Huskies held a narrow one goal lead as Griffin positioned himself in the middle of the Boston College zone, intercepted a pass, and put the puck past Hobey Baker finalist Thatcher Demko for what would become the game winning goal. This goal was Griffin’s sixth and final of the campaign, but it was his fourth game winning goal, a mark that ranked second on the Huskies. Griffin comes back with another year of development under his belt as a prime candidate to slot into the third or even second line for the Huskies and have a breakout season like the one Nolan Stevens posted last year. Stevens, also as a young freshman, scored 3 goals and 9 points for the Huskies before exploding for 42 points in 41 games as a sophomore and being named an assistant captain at the conclusion of the season. Northeastern’s biggest positive in the defensive department is that they return a proven Hockey East caliber goaltender in Ryan Ruck after Ruck set a new school record with a 2.36 GAA in his first season with the Huskies. Boston College, Boston University, and UMass-Lowell will all rely on freshmen in goal, however highly touted they are, while Providence will start a goaltender who played exactly one 60 minute game against Hockey East competition last season. The value of knowing what you have between the pipes and being able to field a defense with nothing but confidence in their goaltender cannot be overstated. Once we leave the crease, however, the Huskies will see a few more fresh faces. Matt Benning, Colton Saucerman, Dustin Darou, and Jarrett Fennell all departed St. Boltoph Street this summer while former transfer Logan Day will not continue with the program. This leaves a lot of holes, particularly among left shot defensemen where only Trevor Owens and redshirt freshman Jon Barry will return. 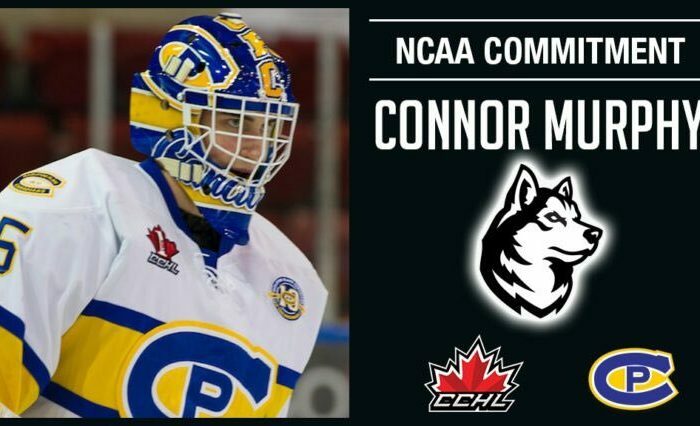 Two notable newcomers will hope to shore up the Huskies’ blue line. 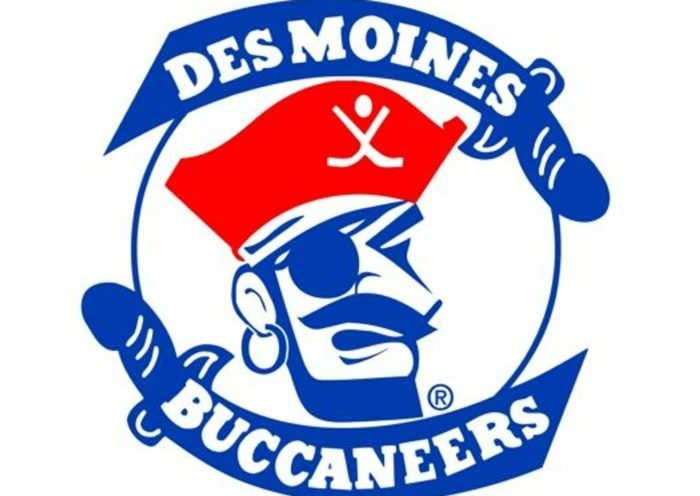 Jeremy Davies, a Canadian defenseman who spent the last two seasons in the USHL, should be yet another offensive threat on a Huskies blue line that already returns potent offensive power in the form of Garret Cockerill and Eric Williams. Davies, a 7th round pick of the Devils in the 2016 NHL Draft, is often described as a power-play quarterback. He leaves the USHL’s Bloomington Thunder as the highest scoring defenseman in team history, and was named a 2015-16 USHL First Team All-Star, well deserved after a campaign where he led the league in points and assists from a defenseman. Ryan Shea, a 19 year old defenseman from Boston College High School, comes to Northeastern after a season that began with a 4th round selection by the Chicago Blackhawks in the NHL Draft but was quickly derailed by a shoulder injury that kept him out for a significant portion of the year. Before the draft, Shea captained BC High and scored 35 points in 22 games for the Eagles in his senior season. Shea is a puck-moving defenseman with “exceptional” vision and the potential to develop into a power-play regular in the NHL. The Huskies would have preferred Shea spent a full season in the USHL to get more experience defending against higher level talent, but regardless, expect him to jump right into the lineup for the Huskies in the fall. With the addition of Davies and Shea, both left shooting defensemen, and junior transfer Garrett Cecere from Colorado College, the Huskies will have healthy competition for their three left defensive spots. On the right side, the Huskies return both Eric Williams and Garret Cockerill, but lose Benning, who opted to leave school for the NHL after his junior season. Freshman Nick Fiorentino and senior Jake Schechter are both right shot defensemen, but neither are likely candidates to have a stronghold on the vacant position. If Schechter can’t win the position early, look for a left shot defenseman to switch over to the right side of the ice on the third line in order to fill the hole. Regardless of their configuration, the Huskies will be very inexperienced defensively in this coming season. The saving grace might be the transfer Cecere. If the 165 pound defender can parlay his experience against NCHC competition into a strong defensive role on the Huskies and leave only two of the inexperienced freshmen to start, the Huskies will begin the season in a far stronger position than if he struggles. Considering the makeup of the defensemen the Huskies lost and the lack of experience that fills those holes, there’s a pretty good chance Ruck will likely be facing more shots this season than he did during the last. The 2015-16 Huskies’ defense was unheralded, but it was was among the most stout defenses the school has ever seen, allowing Ruck to set the school GAA record despite holding a save percentage of .909, a mark dwarfed by the .932 that Clay Witt posted just two seasons before. More interesting than the defense of the past, though might be the makeup of the defensemen that will become the present and the future of the Huskies. Cockerill, Williams, Davies, Shea, Cecere, and Schechter are all smaller, more offensive inclined defensemen. None stand above 6’1 and only Cockerill is listed above 185 pounds. This edition of the Huskies contains no Josh Manson, no Dax Lauwers, no Jarrett Fennell. It’s clear that the Huskies will be short on the physicality front, and it’s even clearer that head coach Jim Madigan and his assistants wanted to develop a defense with this makeup. Consider the players they’ve brought to St. Boltoph Street over the past few years. The 2013 incoming class brought Jake Schechter. And now in 2016 Shea and Davies, both of whom committed in 2014 and whose debuts have been anxiously awaited by Husky fans, are joined by the last minute coup of Garrett Cecere, who was verbally committed to St. Lawrence just months ago before turning his attention to Huntington Ave. The big, bad Huskies of the Greg Cronin era are all gone. These are a new pack of Huskies. The best defense is a good offense. If the Huskies play an aggressive game and can beat their opponents to the puck, it doesn’t particularly matter how hard they can hit. If you have the puck, the other team can’t score. This strategy will benefit the Huskies at their home ice at Matthews Arena, which stands wider than a standard NHL regulation ice sheet, and it can be extremely effective, as the Huskies saw when they were bested by the small, fast, and precise North Dakota Fighting Hawks in last year’s NCAA Tournament. Last year, Northeastern was the least penalized team in Hockey East. They had 26 more power play chances than their opponents in conference games as well as a +39 differential overall. That was unquestionably a driving force behind their special teams scoring 11 more goals than their opponents last year. The Huskies’ shorthand, however, could use some work. It was somewhat hidden due to the discipline the team displayed, but the team ranked eighth in Hockey East with a penalty kill rate of 78.8% (78.3% in conference). As with the rest of the team, the forward penalty killers remain mostly intact, with only McMurtry and his .571 faceoff percentage as a significant loss, while the defense will be the question mark. They lose Benning and Darou, both of their top penalty killers, as well as Saucerman. Owens will be available to fill one hole and can bring size in front of the net, but he certainly can’t replace three men on his own. The Huskies will need to improve the PK and come up with strategies that will allow their mobile defensemen to get control of the puck and clear the zone before the other team has a chance to set up. If they can’t, and especially if their discipline isn’t up to the same high standard as it was, the penalty kill could be the Achilles’ heel of the squad. But if the coaching and leadership continue to instill discipline in this year’s squad, the Husky special teams should find continued success. That’s not to say the special teams thrived only by volume though. Northeastern scored at a 23.2% clip on the power play and improved that number to 25.3% during Hockey East play, a mark that led the conference by 2.6% over the nearest opposition. The bulk of the power play returns, with 24 of the Huskies’ 28 power play goals in Hockey East scored by players who will return to this year’s squad. Five of the six forwards on the Huskies’ scoring lines return, as well as leading blue line scorers Williams and Cockerill. Of the power play goals that the Huskies do lose, only two were scored by forwards. The potent power play will be bolstered by the addition of puck movers who command regular power play duties in the form of Shea and Davies. If the freshmen find success commanding the Huskies from the blue line and prove more effective quarterbacks than Benning and the lumbering Saucerman, they’ll also open up more room for the ripping shots of their counterparts on the right side. It’s beginning to sound like a broken record, but the numbers speak for themselves, the Huskies were successful offensively last year and should be able to continue that success this year, both in 5 on 5 play and on the man advantage. The Huskies stand to be a top team in Hockey East, with an abundance of both returning players and incoming talent. After finishing sixth in last year’s Hockey East regular season, Northeastern should jump a number of teams in the standings this season, including conference co-champions Boston College and Providence who lost a large amount of talent to graduation and early departures. The Huskies should finish 2nd-3rd in the conference, and the absolute minimum expectation considering the talent of this team should be a first round bye in the conference tournament and an NCAA Tournament bid. 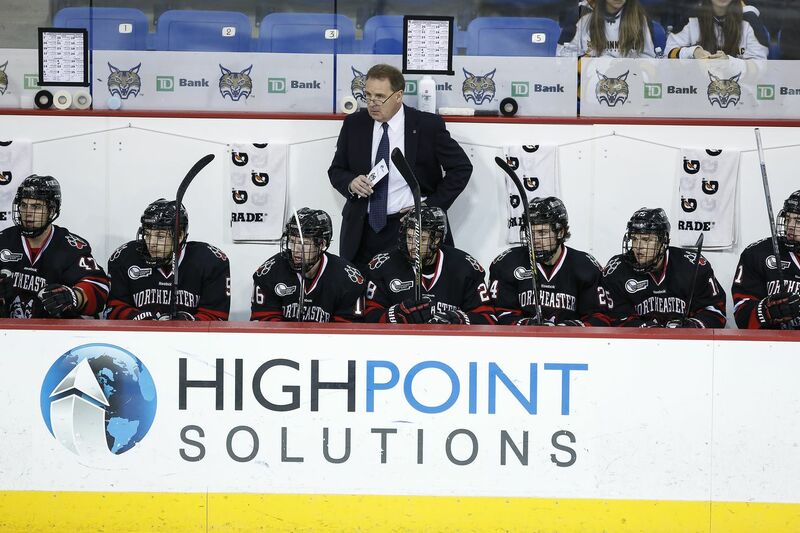 If the defense exceeds expectations and the Huskies go on another run like they did last winter, Northeastern could very well end the season holding the Hockey East regular season crown for the first time in school history.